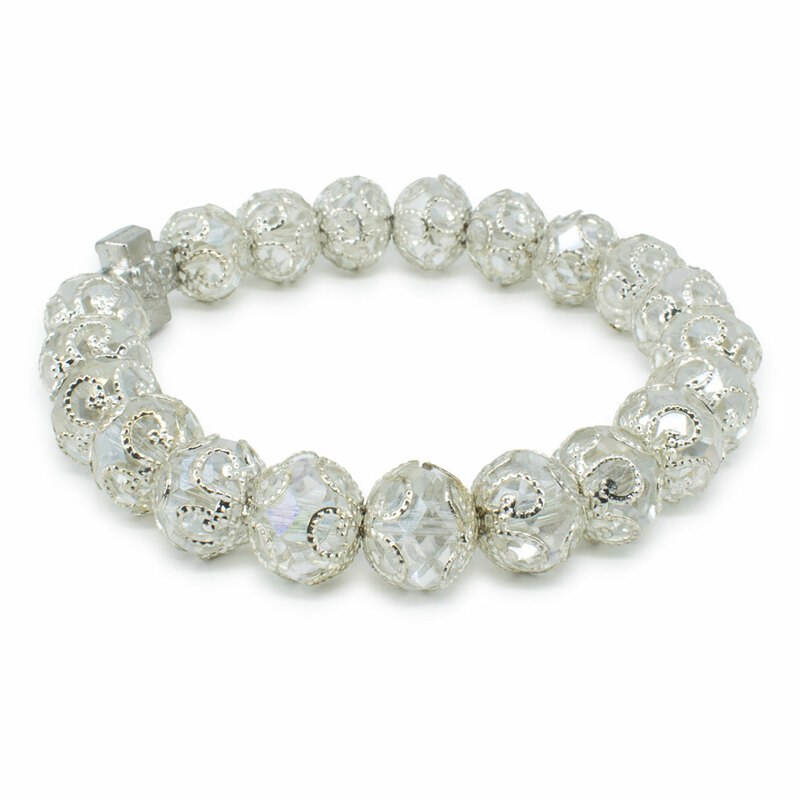 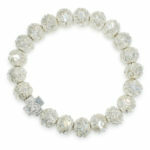 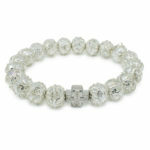 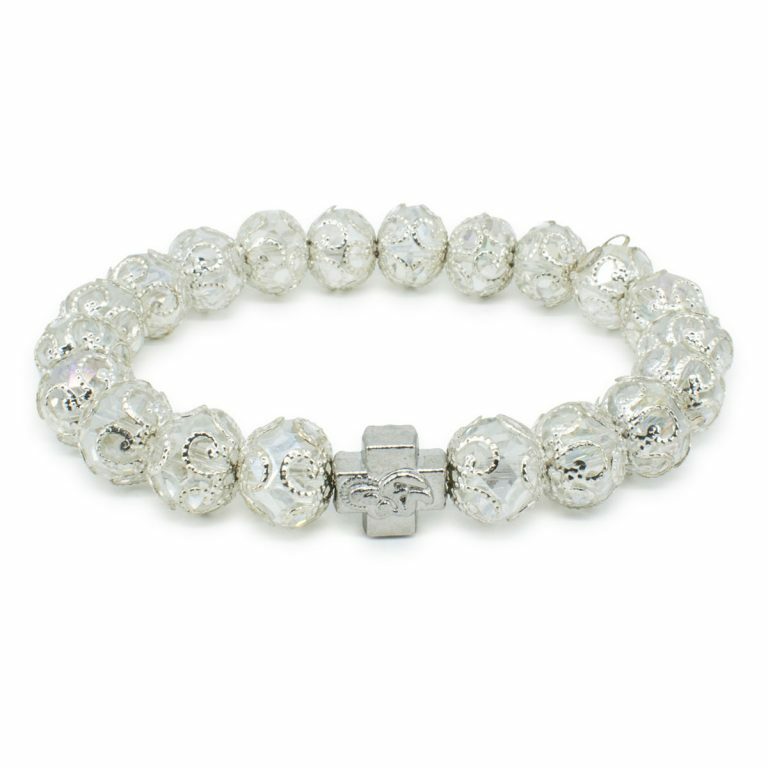 White Glass Orthodox Bracelet "Delila" - One to Like! We named it “Delila” This bracelet consists of beautiful white faceted glass beads with metal decorative caps between the beads. 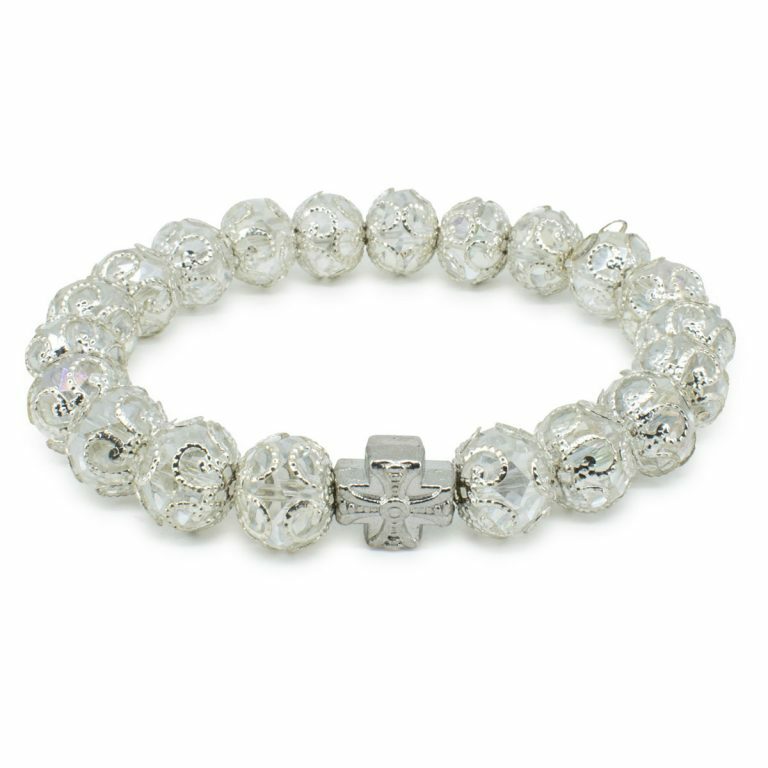 It also features a cross bead. 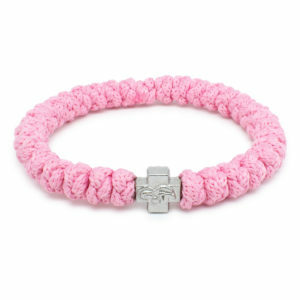 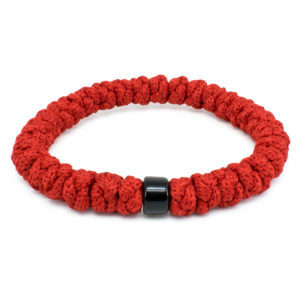 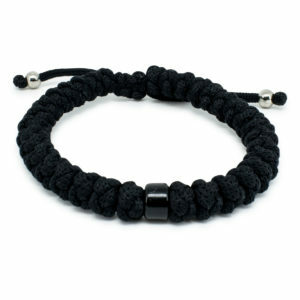 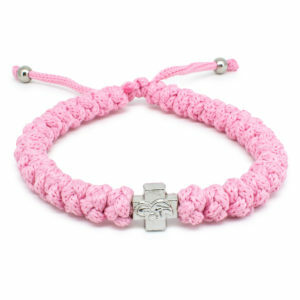 This bracelets fits any wrist, it is stretchable.